COMMENTARY – It turns out the Utes get to play a post-season game in Levi’s Stadium in Santa Clara after all. 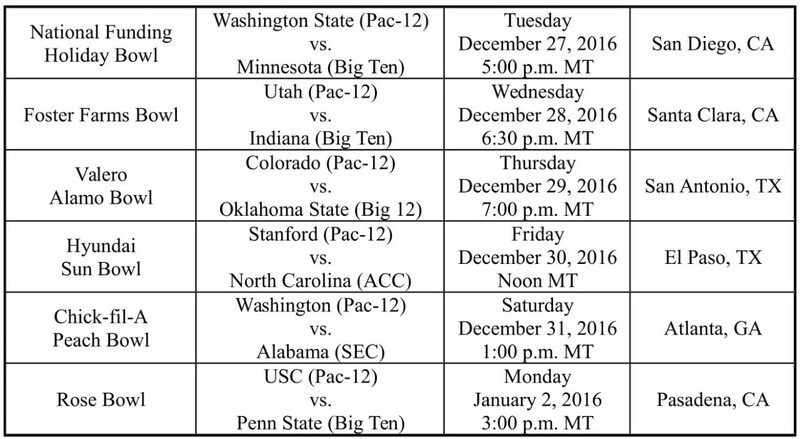 However, instead of playing in the Pac-12 title game, Utah will play Indiana in the Foster Farms Bowl on Dec. 28, 2016. Whittingham is 9-1 in bowl games, for the highest winning percentage in NCAA history. Yup, you read that correctly, the highest winning percentage in NCAA history (ahead of all of the notable names and legends that you can possibly name). The sole loss was at the hands of Boise State in the 2010 Maaco Bowl (aka the Las Vegas Bowl). Lest you think that Whittingham’s bowl game winning percentage is a distorted statistic based on a small number of bowl games in comparison to others, he currently sits tied for No. 12 for the most bowl wins ever with nine. Notably, he has as many bowl wins as Urban Meyer and he is only one win behind Nick Saban. That’s pretty good company. Notwithstanding the Utes’ all-too-common late season fade, there can be no dispute that they are a tough out in a bowl game. The initial indications are that this year’s bowl game with Indiana should be no different. The Hoosiers are 6-6, and on average give up more points than they score each game. Accordingly, Whittingham should end up a ridiculous 10-1 in bowl games. Although the Pac-12 has affiliations with seven bowl games, only six teams were bowl eligible this year, and Washington made it into the four-team playoff, so no Pac-12 team will be playing in the Las Vegas Bowl or the Cactus Bowl. With the sole exception of Washington, which has a tough row to hoe against top-ranked Alabama, all the Pac-12 teams should be favored to win their bowl games, including Utah. Here’s hoping the Utes and the rest of the Pac-12 bring some joy to this holiday season and make their fans proud with big wins in their respective bowl games.